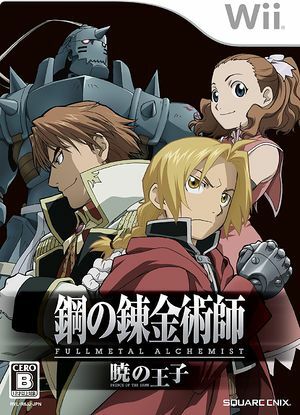 Fullmetal Alchemist: Prince of the Dawn (Fullmetal Alchemist: Akatsuki no Ouji) lets players take control of main characters Edward and Alphonse and move about Central City, speaking to people and attempting to unravel the mysteries of a certain incident. The gameplay plays out in a traditional adventure sense focusing on interactions with people as the character moves around on a map of Central City. The graph below charts the compatibility with Fullmetal Alchemist: Prince of the Dawn since Dolphin's 2.0 release, listing revisions only where a compatibility change occurred. This page was last edited on 10 January 2018, at 18:19.